Poker has been experiencing an unbelievable explosion in popularity since the beginning of the 21st century. Mostly because of the introduction of online poker and its induction into the world of spectator sports (thanks to the invention of hole-card cameras). Naturally, due to its immense popularity, almost all reputable gambling establishments in Macau will have poker tables. Arguably, the best place to play poker in the east is Asia’s gaming hotspot, Macau. It generates more revenue from gambling than any other country on the planet and even generated gaming revenues of over seven times the amount generated by Las Vegas. Poker has a large number of variations, following a similar pattern of play and hand ranking hierarchy system. Most popular of these poker game variants is the Texas Hold’em. Macau casinos adapted it without much deviation from the standard Texas Hold’em played in the world. Casinos operate under a government franchise and thus share a common set of rules. Consequently, to the casual poker player, it makes it a lot easier to play in different number of casinos as you only need to learn one set of “house rules”. Some would argue that it’s enjoyable to learn about the varying customs of each Casino but in fact, its still easier to learn a uniform set of rules. Standardizing rules is as a good way of catering to varying people and play styles letting them to experience a universal standard of poker. If you are planning to play poker in Macau, be sure to make reservation at the casino, in advance. Poker receives much fanfare in Macau. As it regularly hosts poker events like the Macau Poker Cup and the Asia Championship of Poker. Poker in Macau is seen as spectacle rather than an ordinary table game, available by demand. As such to play in a Texas Hold’em table usually involves a waiting period of 7 hours and they usually accommodate a waiting list of no more than 70 people at any given time. The no limit Texas holdem cash game you can find will range between 25-2000 Hong Kong Dollars (4-258 USD). Take note that all casinos here accept HKD as the preferred currency. Although, technically, they are all supposed to accept Macau Pataca as well (a lot of places also accept US Dollar). Nothing to worry about since in most cases you can exchange your cash at any of the casinos. If not there are a lot of surrounding banks or money changers available, just ask around. There are numerous casinos in and around Macau and Taipa Island. Most of them will have limited amount of Poker tables but you can expect the big names to carry a good amount of tables. 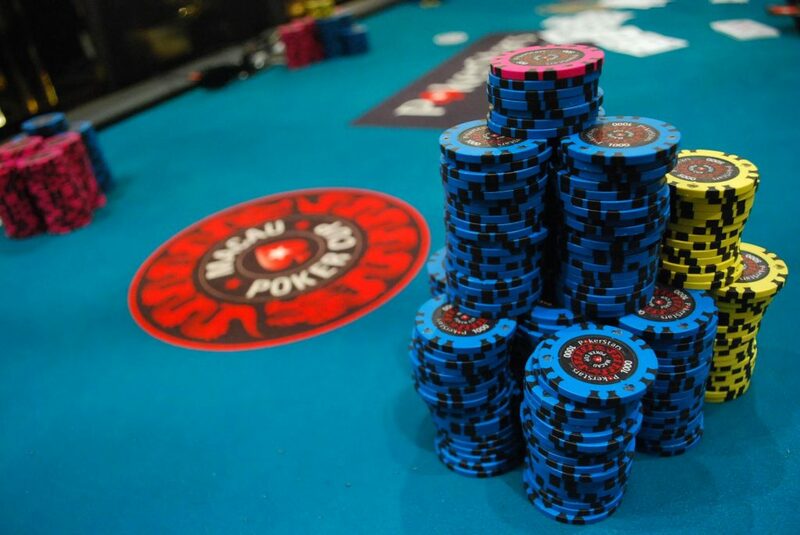 Locations like the Pokerstars Live Macau Poker Room in City of Dreams, Poker King Club Macao in The Venetian, Wynn, and the Macau Billionaire Poker Room in Babylon are a safer bet if you are looking to play. It’s also best to call ahead as the waiting period for tables generally long and overbooked. Poker is an already established casino game worldwide. It is readily found in Macau and the local variants are easy to understand. However it’s best if you not only understand the game but know the local customs beforehand to improve your chances of winning.